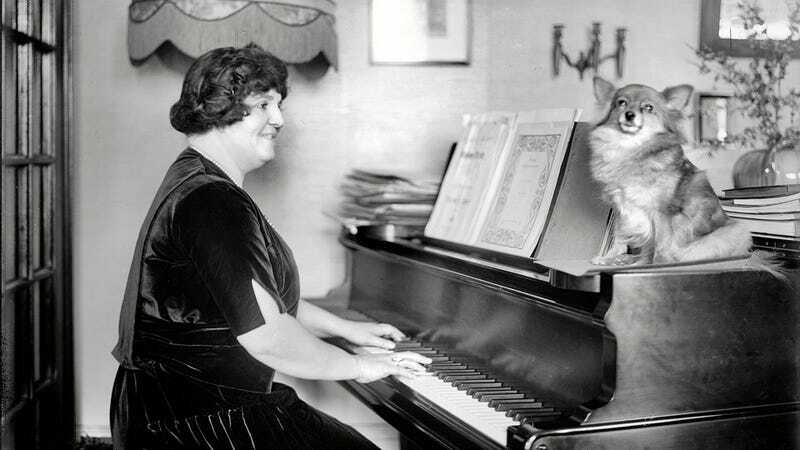 The singer Elsie Baker and canine accompanist in New York circa 1920. 5x7 glass negative, George Grantham Bain Collection. Image via Shorpy.